Most construction sites need the soil to be properly compacted. This helps to ensure that the ground will be free from pockets of air that may cause shifting during construction. Compaction equipment will provide the firm, solid ground needed for foundations and pavements. Depending on your job, each type of compaction equipment has a specific use. 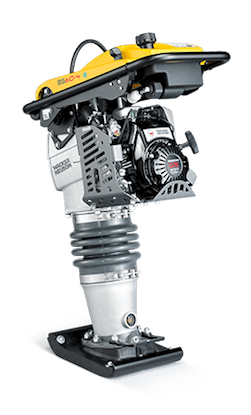 If you are doing a small backyard project, like installing paver stones, walkways, or small foundations, then light soil compaction equipment would be your best option. If you are on a large construction site or compacting asphalt, then heavy soil compacting equipment is needed. Each of these pieces of equipment has its own unique patent and interesting history. 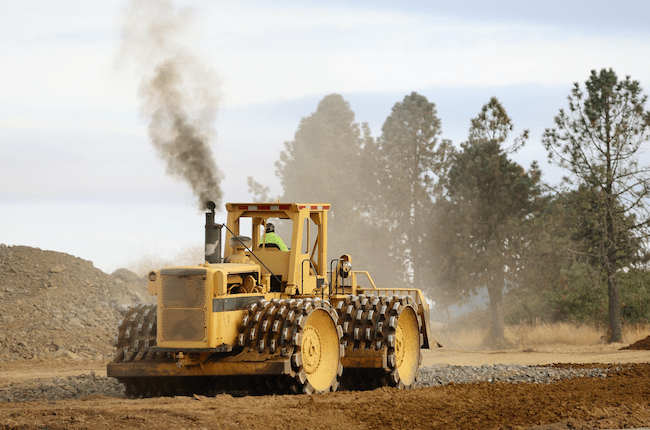 From simple rollers being drawn by livestock to heavy posts used in hand tamping soil, compaction equipment today uses modern technology and fuel engines to get the job done. Vibratory Rammers. Small and compact, rammers are handheld and are best for small jobs and tight areas. Because the surface area of the rammer plate is small, deep vibratory compaction can be achieved. Vibratory plate compactors. Designed to increase the overall density of various types of soil and to fill in any voids, vibrating plate compactors are best suited for smaller landscaping jobs. Plate compactors are walk-behind machines. Vibro tampers. Small and lightweight, vibro tampers are best used in areas that are very small and confined. They are manually guided machines with a spring activation on the handle. 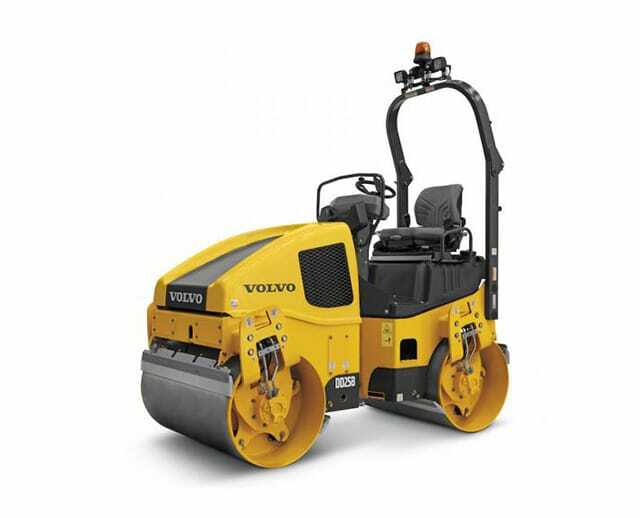 Smooth-wheeled vibratory rollers. These are large ride-on machines that typically have a roller (or drum) in the front of the machine and one or more in the back. The drum can be filled with water or sand to help adjust the amount of compaction needed. This equipment is best used for soil types that are made of crushed rock or gravel. Sheepsfoot rollers. When you have the need to compact soil that is made of clay and other fine-grained soils, the sheepsfoot roller is the best choice. These rollers have a cleated drum that compacts the soil surface. Use a sheepsfoot roller for dam construction, embankments, and railroad projects. Pneumatic tired rollers. This large ride-on machine is made with several rows of rubber tires or rollers that compact course-grained rock and soil surface. 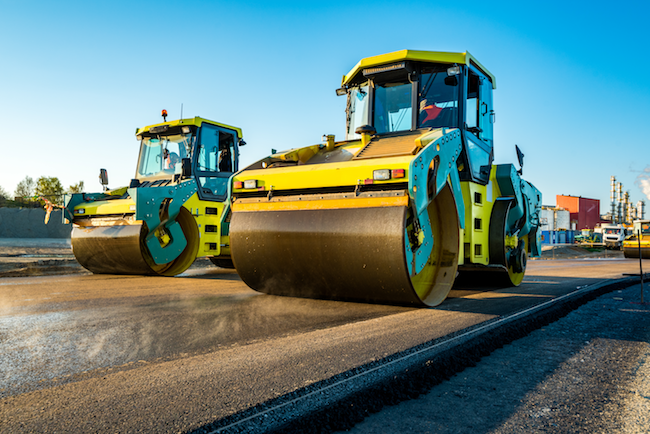 Sometimes called rubber tire rollers, they are typically used for pavement subgrades and can help to smooth and polish a work project. Wacker Neuson manufactures several models of both light and heavy soil compaction equipment. They offer gas and diesel engines for their large ride-on double drum roller equipment and battery, 2-stroke, and 4-stroke engines for their rammers. 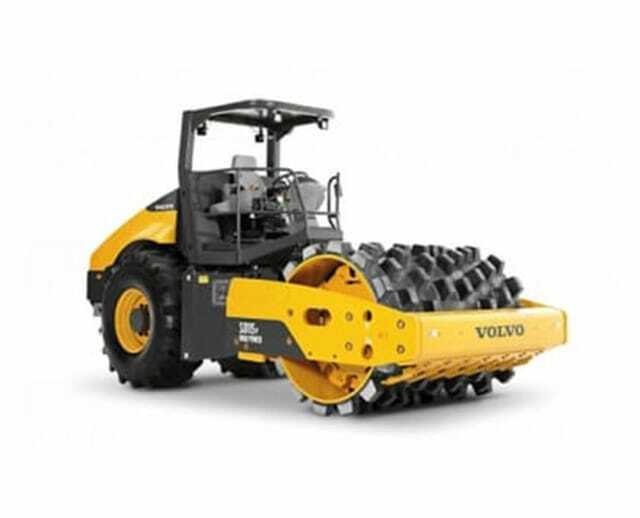 Volvo is a brand name known for high-quality, safety, and durability, and you will find these features in Volvo drum roller machines. 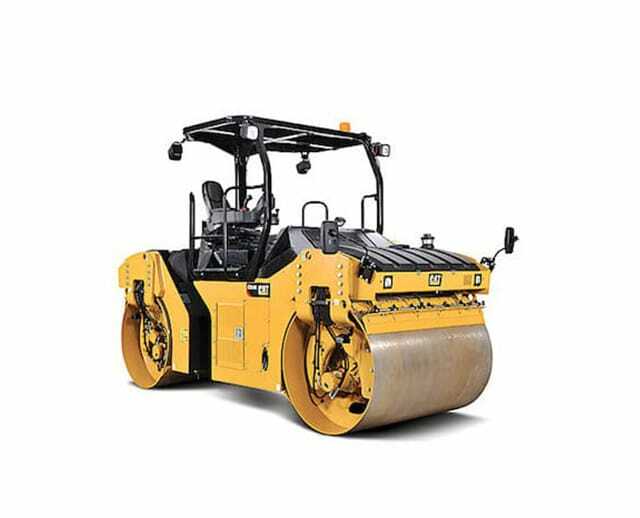 With excellent quality, performance, and speed, Volvo drum rollers are a great option for compaction equipment. 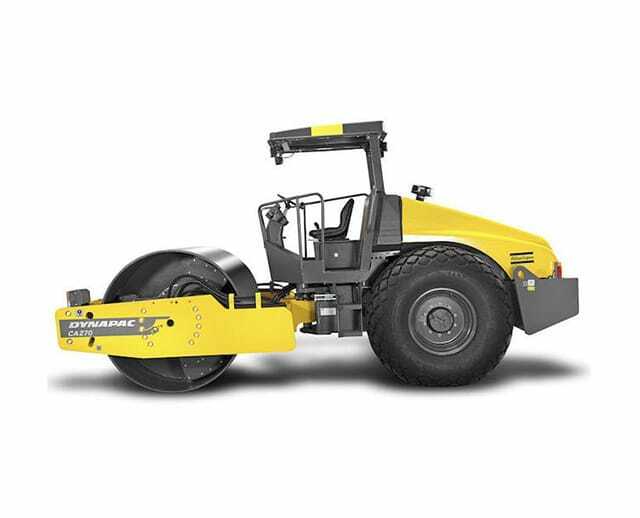 BOMAG equipment is best suited for lighter compaction jobs. Made in Germany, BOMAG has been making machines that are used for construction, mining, landfills, and recycling projects. Caterpillar has been making heavy machinery for decades. Its equipment is known for its durability, stability, performance, and use of modern technology. As with any piece of machinery, always read and understand the operating manual. Potential hazards for light soil compacting equipment could include numbness in the hands and arms. For heavy soil compaction machines, tip-overs or falls must be avoided. Crushing injuries are a potential hazard as well. Safety should always be first when handling heavy equipment. All employees should be properly trained on safe handling of the equipment so that information can be conveyed to the operator who will be renting the equipment. Make sure that all staff is OSHA-trained in safety protocols. Operators should always wear hard hats, work gloves, goggles, ear plugs, and steel-toed shoes when using soil compaction equipment. Proper training is essential! If someone is hurt while operating the machinery, there could be a liability issue. Training is the best way to reduce accidents. Check with OSHA for safety classes. Speak with our knowledgeable staff on training that may be needed before renting any equipment. How Do I Rent Compaction Equipment? Please browse our website to see the available equipment. You must be over 18 and have some training in the use of the equipment. You can rent by the day, week, or month. How Do I Know What Type of Equipment to Rent? There are many variables when it comes to knowing what type of equipment to rent. Please speak with us at BigRentz to discuss the best option for your particular job. Call BigRentz today, and we will help you find the right piece of equipment and training for your soil compaction project.